While the overall aim is to win the race, consider if there are any goals that you wish to achieve in a race, especially if you have new members on your crew. Is there anything new you want to learn? Perhaps there is some equipment that you feel you have not mastered, or new apparatus that you want to try out? While you may want to win, sometimes that is not realistic; sometimes learning new techniques and skills when we lose can set us up for success in the future. When preparing for the race, know the details of the course by using charts and knowing the tides. This will ensure that you are not caught off guard by any tide changes. If you are unfamiliar with the area, consider taking a test run in your boat so you can get a feel for the waters ebb and flow. You should also have up to date charts and maps of the area. Before the race, check your boat over for damage as any unchecked damage can be made worse by the stress of the elements. This is the same when it comes to your equipment. Has it been serviced? If there any faults in your equipment, this can prove detrimental if a situation was to occur during the race. Ensure that you are not risking the life of your team by making sure your equipment is up to standard. Yacht brokers, who work closely with event managers, can offer bespoke boat maintenance services to ensure your yacht is prepared for any challenge. Make sure that you do not follow any boats in front. They may be going the wrong way, so try something different. You can use the winds coming back off the land to your advantage by getting it to lift you on the port and header on the starboard. Being prepared for a race is key, but you should also take into consideration you and your teams limitations. If an unexpected situation comes up that you are unable to handle, no matter how prepared you are, do not put the lives of your team in danger by pushing your capabilities. Limitations can be worked on with knowledge and experience. There is nothing wrong with a bit of competitiveness, but make sure that you enjoy the race as well. 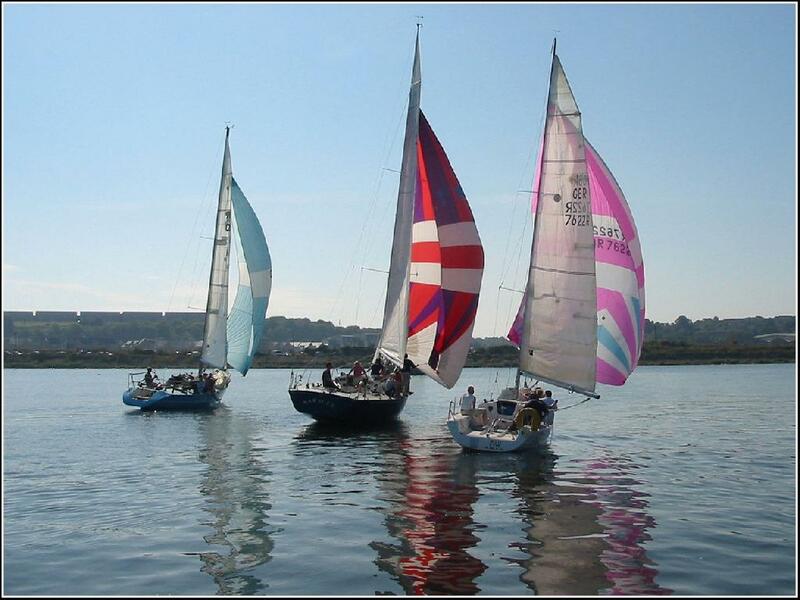 You will be on the water with hundreds of other sailors who just want to have a good time. Encourage good sportsman ship amongst your crew, not only will this raise their spirits, but they will work just as hard to get to the finish line knowing they are part of an excellent team. Harry Price is a free-lance writer who enjoys playing poker competitively. He spends his free time playing football for a non-profit organisation in England.